Think about the bar-restaurant of Heaven. Imagine it blue and pink, elegant, on the shore of the Indian Ocean, at the foot of the white beach and in front of the reef. Dream to relax on a comfortable sunbed between the sun and the shade of palm trees, tantalized by a light and invigorating breeze, sipping a fresh juice with the background of music never intrusive and preparing yourself for a lunch based on seafood, exotic foods but also Italian gastronomic delicacies that even in Africa is difficult to give up. 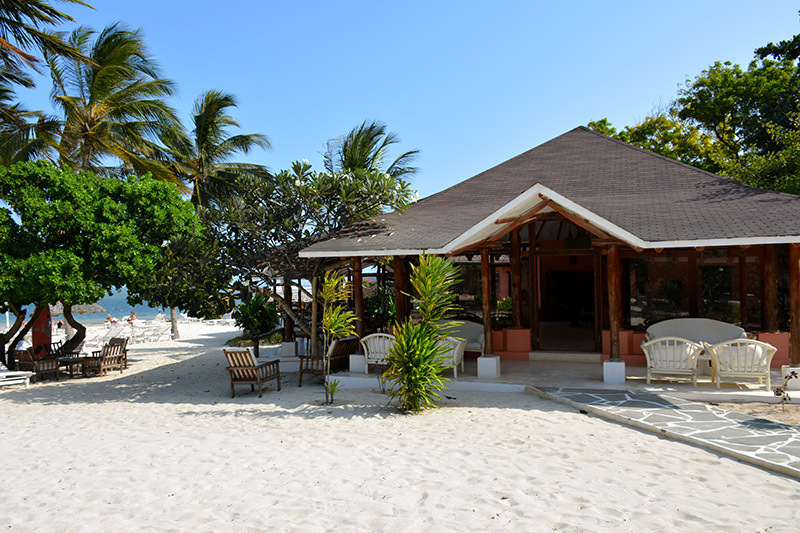 This place is in Malindi, called Rosada. Rosada is located on the most famous beach of the town, the enchanting Silversand in Casuarina. Rosada is more than just a restaurant, more than a bar and bathing establishment. It is at the same time a place of relaxation and a meeting place for holidays, beach and pine forest, with its high casuarina. On Monday evening then Rosada turns into the most fashionable outdoor disco of the bad seasons, and on Sunday at lunch is frequented for his excellent and great Buffet.